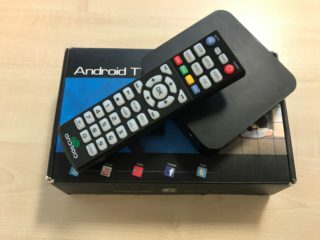 A Norfolk man has been sentenced to 12 months for selling devices providing illegal access to the sports channels of leading betting and gaming supplier SIS. William Marston, trading as Billie the Bookmaker, was given a custodial sentence at Norwich Crown Court on 28th October after admitting selling unauthorised decoders adapted to enable access to encrypted transmissions between December 2013 and April 2016. Handing down a sentence of 12 months’ imprisonment, suspended for two years, the judge rejected Marston’s claim that he made little to no profit and said it was clear he was motivated by gain. In addition, he ordered Marston to be tagged and be subject to a curfew from between 8pm and 6am for a period of six months, effectively placing him under house arrest. Following a joint investigation by the Federation Against Copyright Theft (FACT) and SIS, Marston was arrested at his home in Norwich by officers from Norfolk Constabulary in April. He then pleaded guilty to three charges under the Copyright Designs and Patents Act 1988 at the city’s magistrates court in July. The court was told he was using the online sales service eBay to sell the devices, which allowed users to illegally stream sports content such as horse and greyhound racing, aimed at the online and retail betting markets. Although his income from the illegal activity was said to be £20,000, the value of the lost subscriptions to SIS was at least £2m. Kevin Smith, General Counsel for SIS, believes the figure may have been even higher as the evidence only related to the decoders he sold using eBay. He added: “We welcome this conviction and hope it sends out a strong message to anyone looking to profit illegally from our channels. Kieron Sharp, Director General of the Federation Against Copyright Theft (FACT) said, “Disrupting illegal sports streaming is a key priority for FACT as this criminality defrauds sports rights owners and TV broadcasters of hundreds of millions of pounds a year.